From ‘organic’ to ‘non-GMO,’ what are the product labels that actually appeal to consumers today? A new report from Morning Consult sheds light on this and other key questions facing the industry. To get more insights download the report below. Do each of the following words or phrases, commonly found on food or beverage products, make you more or less likely to buy the product? 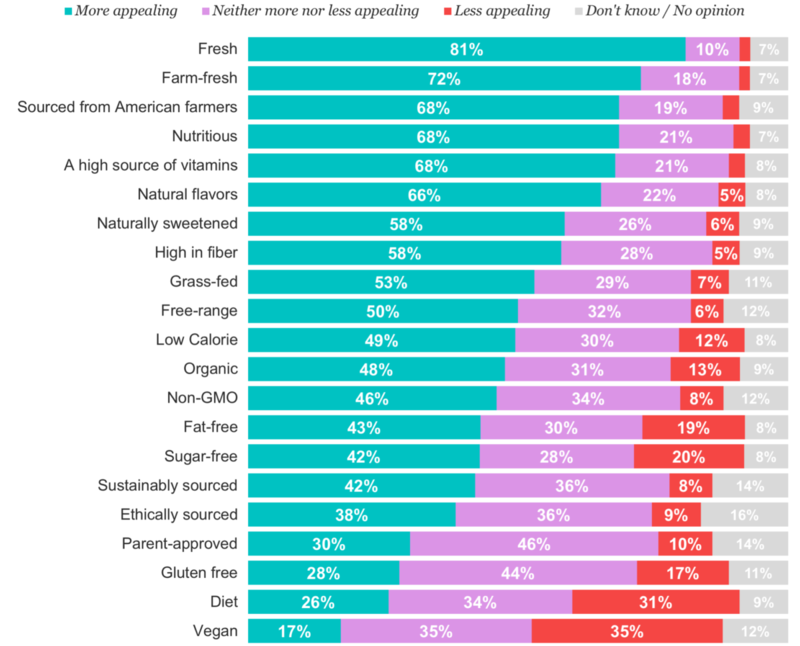 64% say that brand matters either “a lot” or “some” when purchasing soda, the highest level for any food or beverage item. Methodology: This poll was conducted from May 07-11, 2018, among a national sample of 2,201 adults. Results from the full survey have a margin of error of plus or minus 2 percentage points.